Ladakh Spitok, Spitok and Ladakh Tours, Leh Spitok, Stok Spitok,Alchi,Namgyal,Tsemo,Gompa Spitok,Chemrey, Gompa Pugthal/Phugtal,Stok,Diskit & Hundur,Rangdum,Stongdey,Stongde Monastery,Hemis, Rhidzong Sumur,Lamayuru,Sani,Thak,Thok Gompa,Likkir, Sankar Gompa,Shanti Stupa,Matho Shey Tikse Leh Ladakh Tourism. By contrast, the 15th century monastery, which tumbles down the sides of a steep knoll to a tight cluster of farmhouses and well-watered fields, is altogether more picturesque. Approached by road from the north, or from the south along a footpath that winds through Spitok village, its spacious rooftops command superb views. There is the grave of a very high reincarnation at the Gompa and the Spitok head Lama is also the head Lama of the Sankar Gompa in Leh. He also represents Ladakh as a member of the Indian Parliament. 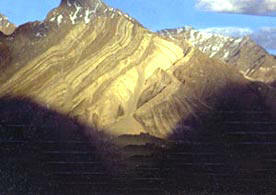 Gurphug in Stok and Pashi Gephel in Sabu are also under monasteries of Spitok. The Gompa has three chapels of which the highest, the Paldan Lumo temple (Kali Mater), is the most impressive. The temple Gonkhang is approximately a thousand years old. The main complex, a typical mixture of dusty, dimly lit old prayer halls and vivid modern shrine rooms, is of less interest than the Paldan Lumo chapel, perched on a ridge above. Probably aimed at the mostly Hindu members of the Indian army posted at Leh, a sign outside warns visitors not to "deliberately mistake" the Gon-khang for a Kali temple. Offerings made to the black faced and bloodthirsty Hindu Goddess of death and destruction are, it insists, "not acceptable". From Paldan Lumo temple, on the peak of the mountain, a small path leads past a red Latho to the monastery proper. The built in Dukhang is well worth seeing. The area around the wall paintings, with its Thankas, prayer flags, bookshelves and books, is well illuminated. Near the Dukhang there are several other chapels of which the new Chokhang is above some stairs. Here funeral ceremonies can be witnessed. Many of the small, old prayer rooms, the head Lama's room, and the rooms of the monk are, unfortunately, no longer shown to foreigners. They contain some wonderful wall paintings, Thankas, silver Chortens, Buddha figures, statues of other deities and hundreds of books but some thoughtless tourist took objects as souvenirs. From the level of the Dukhang 19 steps lead up to the inner courtyard with a flagpole around which, on the 28th and 29th days of the 11th month of the Tibetan calendar, the Spitok Gostor is celebrated with mask dances. At this festival the 'Jelbagh' dance masks, like those hanging on the walls of the monastery, are no longer used but rather true to life representations. The monastery has a statue of Kali whose face is only shown once a year. The shrine to Vajra Bhairava, a Tantric guardian deity of the Gelug-pa order, is distinctly spooky. Lit by flickering butter lamps, the cluttered and cobwebbed chamber houses a row of veiled guardian deities whose ferocious faces are only unveiled once a year. After waving incense smoke before them and muttering a few mantras, the key keeper lama will pass around handfuls of sweets newly infused with protective power. If one has a flashlight, check out the 600 year old paintings on the rear wall of the chapel, which is spitok's oldest building.